A new smart light is aiming to keep cyclists stay safe on the roads by detecting various patterns during a ride. See Sense ACE uses artificial intelligence to monitor a user's journey, flashing brighter and faster to improve visibility in dangerous situations, such as road junctions, roundabouts and approaching car headlights. The ACE is See Sense's fourth generation light, after initially launching a solution for day-time lighting back in 2013, with the company indicating the device will feature a 10-hour battery life, more than 200-degrees of visibility and IP67 waterproofing. 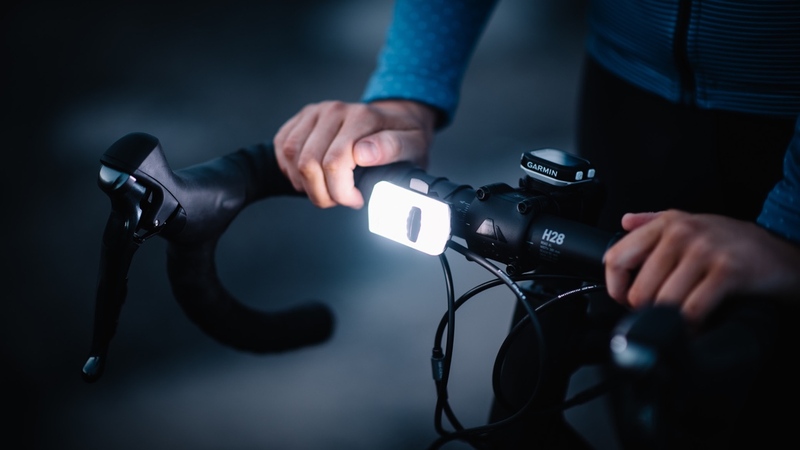 For those concerned about the brightness of the intelligent light, the ACE will offer a 125 lumen front and 150 lumen rear. And although its AI smarts will help you stay bright in more pressing sections of your ride, the on-board sensors monitoring the action hundreds of times per second also allow the ACE to drift into standby mode if you've been static for three minutes. The addition of mounts means you can prop the light on handlebar, seat-post, seat-stay or even your backpack in order to remain visible, as well. Garmin wearers can take advantage of the light's smarts, since it harbours ANT+ and can pair with compatible devices to automatically activate when a watch or bike computer is turned on. The ACE is currently doing the rounds on Kickstarter, with early backers able to pick up a device for £27 (around $30) — a healthy 30% snip off its eventual retail price. However, it's managed to smash through its funding goal of £30,000 and surpass the £150,000 mark. On paper, the smart light would appear to provide an option which leaps above the dumb competition, though whether it's AI powers work as well in practice remains to be seen. The ACE is set to arrive on bikes in June next year, and we look forward to getting one in and testing it out on the road.